Business travel, such as sending employees to conferences, meeting with key clients, and attending training events is a necessary expense that ultimately supports company goals. However, for many companies, processing travel expenses make up a significant portion of total operating costs. Fortunately, with the proper tools in place, travel and expense management is an easily controllable cost when it comes to running a business. While there are a variety of ways to streamline travel and expense processes to save money and increase return on investment, the following three tools will revolutionize your company’s travel and expense management system. A good online booking tool provides a single screen comparison of the lowest current fares, detailed traveler profile functions, and automates trip approval processes. 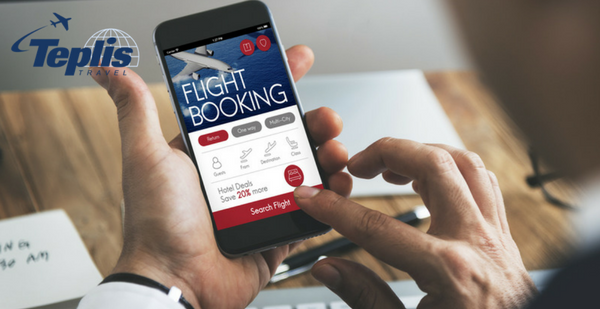 Online booking tools allow you to move away from spreadsheets and paper receipts to an integrated travel and expense management solution, giving managers visibility into travel spend while saving travelers time on booking business travel. With online booking tools, airline, hotel, and vehicle reservations are made in one simple process, streamlining the travel approval process. Since data is automatically electronically collected, there’s more accurate and up-to-date information for expense reporting. Mobile apps go wherever managers and travelers go, and are supported across a variety of platforms. When paired with a web-based travel and expense solution, business travel can be managed in real time from wherever company managers are, simplifying processes on the back end of the business trip. Mobile apps also give travelers the freedom to manage their travel while on the go — they can view itineraries, check flight statuses, get driving directions, make changes to travel arrangements, and more. Travelers can also add expenses as they occur, saving time and money when it’s time to reconcile expense reports. Another way to lower the cost of travel management is by using a real-time travel reporting tool. This makes reporting and consolidating travel expenses easier by offering multiple reporting formats for organizing travel data, including airfare savings, policy compliance reports, top travelers, hotel summaries, and rental car summaries. A real time travel reporting tool provides travel managers with a password-protected website where they can view and download real-time travel data, making it easier to understand consolidated business travel data. Managers can effectively control spending, maintain budgets, and track business travelers. This allows companies to be proactive, rather than reactive, when it comes to travel and expense management. One of the best ways to maximize savings in travel and expense management is by working with an experienced corporate travel management firm. Teplis Travel is proud to offer Concur travel and expense reporting tools and iBank real time travel reporting tools to simplify management of your business travel program while ensuring the needs of your employees are met. Start cutting business travel costs today — contact Teplis Travel or call 1-800-669-6547.